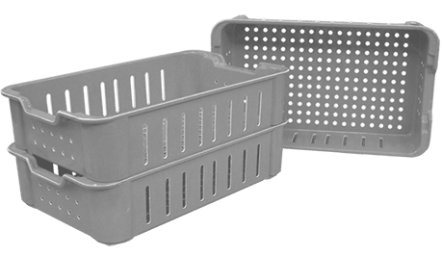 MFG Tray wash boxes are expressly designed for cleaning, draining and drying products in a variety of manufacturing and processing operations – at one-third the cost of stainless steel wire baskets. 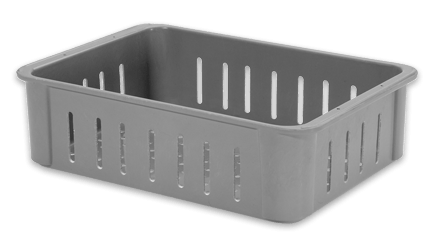 These strong, stackable containers feature drain holes in the bottom and slots in the sides to ensure thorough rinsing and draining. Rounded corners and radial edges eliminate the safety hazards posed by sharp-edged metal containers. 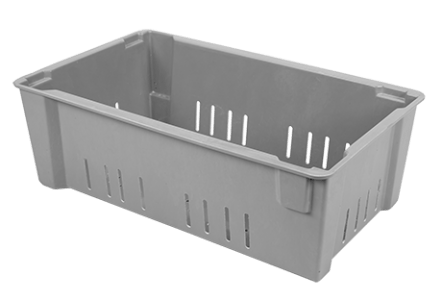 And, unlike metal boxes, MFG Tray wash boxes will not bend, dent or corrode. These containers also serve a labor-saving, two-fold use from secondary process cleaning to work-in-process primary housing. 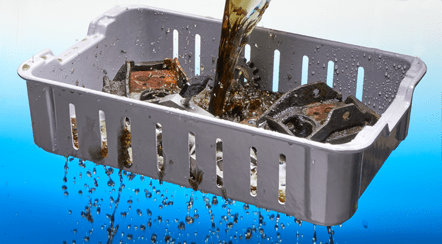 By minimizing the “dumps” from work-in-process containers to process cleaning containers, the end result is less labor and reduced part damage/scrap. 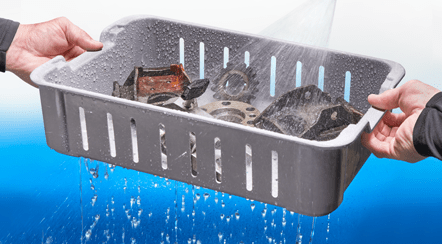 Toteline™ wash boxes may be consistently used in temperatures ranging from -60° to 250° F (-51° to 121° C) and intermittently in temperatures to 300° F. They are impervious to cutting oils, grease, radiation, and mild acids and alkali solutions within a pH rating of 3.0 – 10.0. And an advanced chemical-resistance formulation is available as an option. 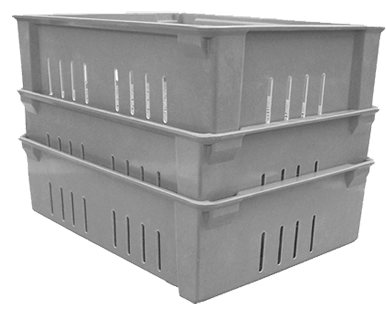 Each container can handle up to 150 pounds payload, and wash boxes can be safely and solidly stacked without bending or sagging.